By the time China's spacecraft lands on the back of the moon, Kasia Bortnik - Folkwang College graduate for Jazz vocals - her second solo album "The moon is just a fake". The content is poetic and playful. The songs, in Polish and English, vary between minimalist interpretations and compositions full of energy and joie de vivre. Kasia's questions about life that reflect her music and lyrics remain open, as well as the question whether the moon landing really happened. The the only thing that counts is the driving force anyway. The number of seats is limited, please contact us for a reservation. Jazz en Vogue - Astatine and Vlad Vashchenko celebrate the start of the Jazz Festival in Bonn at Falconeri. Live music & high quality Italian fashion promise an unique shopping experience. 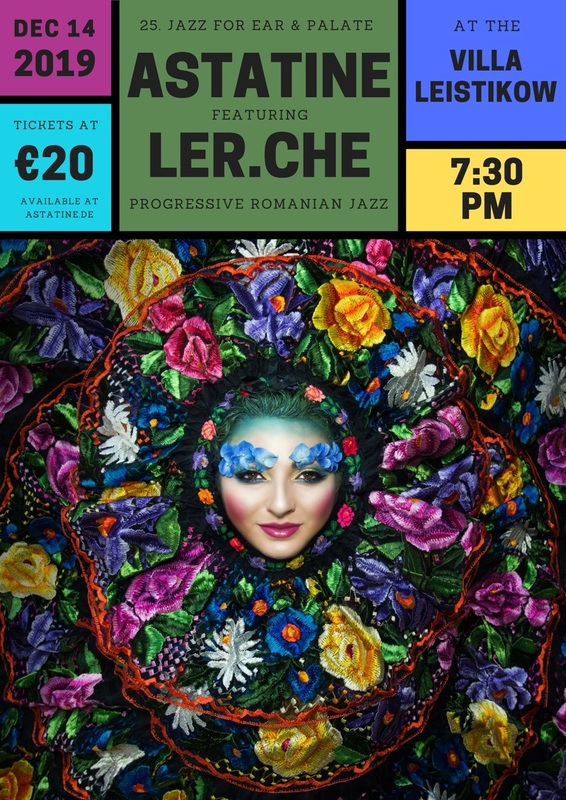 LER.CHE presents progressive Romanian jazz, an extraordinary blend of world music and modern jazz. With Astatine's hypnotizing voice, LER.CHE gives the world a new expression of the Romanian soul. The jazz quartet embodies the modern interpretation of Romanian folklore in a contemporary guise. Join them in Klub 41 and let their music take you on a mystical journey that transcends the boundaries of the genre and geography. Tickets: 10 euros, reduced 5 euros. Astatine & Band present the golden 20s of Berlin! A very special evening motto. Immerse yourself in Germany's 20s and 30s. With her self-confident and elegant appearance, Astatine takes you on a journey through the lavish past but unforgettable days and the lively salons of the 20s and 30s. With revived gems and chansons like "Music !, Music !, Music!" or "Bel-Ami!" will transform the easy muse into pleasure. Let yourself be surprised! A dress code is not (yet) available. But it would be particularly appropriate to appear in the chic of the 20s with a hint of fin de siècle melancholy. We welcome you with style and a glass of sparkling wine! With Martin Müller & THE RIB . The name of the guitarist has an outstanding sound in the world of acoustic guitar. His releases in recent years " RHAPSODY IN BLUE , "ONE DAY IN MY LIFE - a tribute to his favorite band THE BEATLES and " JARDIM BRASILEIRO "(MduoM) were positively discussed by international critics. 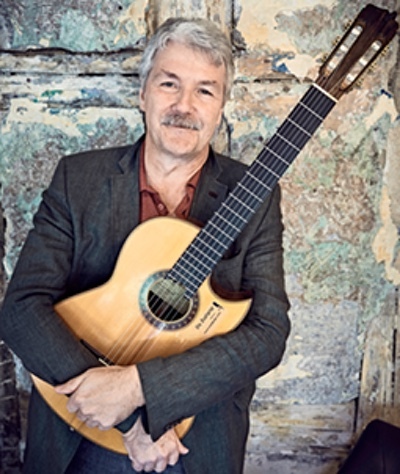 With Christian Kussmann playing bass and Kristof Körner on the drumset, the band presents a program with titles from THE BEATLES, GERSHWIN's "Rhapsody in blue" in a jazz version, and BRAZILGUITAR classics. A cross-border sound network that captures musical influences from Europe, North and South America and brings them harmoniously together. A must - not only for guitar fans. Gypsy-Jazz is the first jazz style invented in Europe around 1930. 140 years earlier, the young Ludwig von Beethoven attracted attention at the Viennese court with unheard new fantasies on the piano, which were created at the moment - like the forerunners of jazz. What better reason than to bring two virtuoso musicians together: Gypsy guitarist Joscho Stephan and jazz pianist Marcus Schinkel . 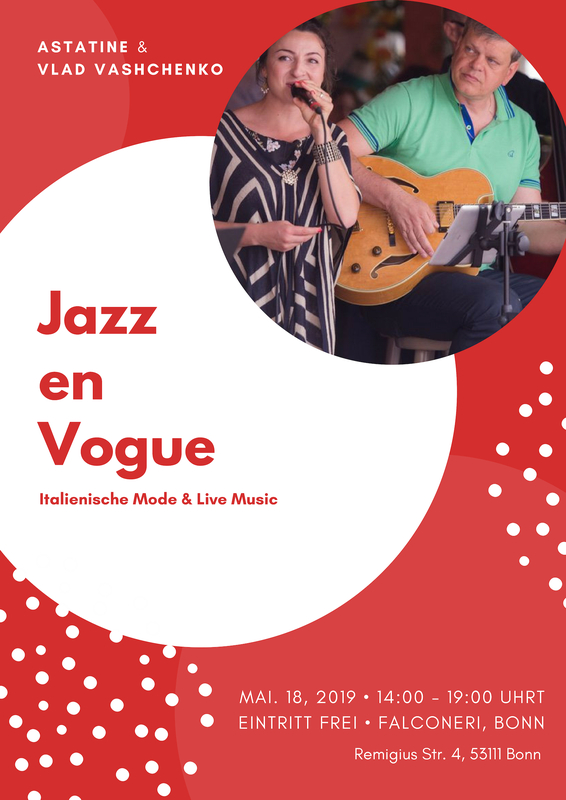 The two musicians met in 2015 on the occasion of the Dresdner Jazztage and after a nightly meeting, the idea for a combination of gypsy jazz and classical models was born. The two sound wizards draw from the most diverse melody templates of Mozart s Figaro, Schumann Childrens scenes, Debussy s Reverie, the famous love dream of Franz Liszt or Beethoven's "Wuth on the lost dime" to a brilliant rumba version of the patent topic of Nino Rota. Wim de Vries, one of the best-known drummers in Europe (the Dutch newspaper Slagwerk awarded him the "Best Jazz Drummer of the Benelux" in 2016 and 2018) and Fritz Roppel, a well-known bassist in the Tango Fuego band, who masters both classical and jazz double-bass, completes the band's special sound. Foto Credits: Josho Stephan & Marcus Schinckel. Led by Astatine’s hypnotizing vocals, LER.CHE shares a new expression of the Romanian soul with the world. The jazz quartet embodies the modern interpretation of Romanian folklore in a contemporary guise and is now releasing their debut album, followed by a tour in Romania and Germany. 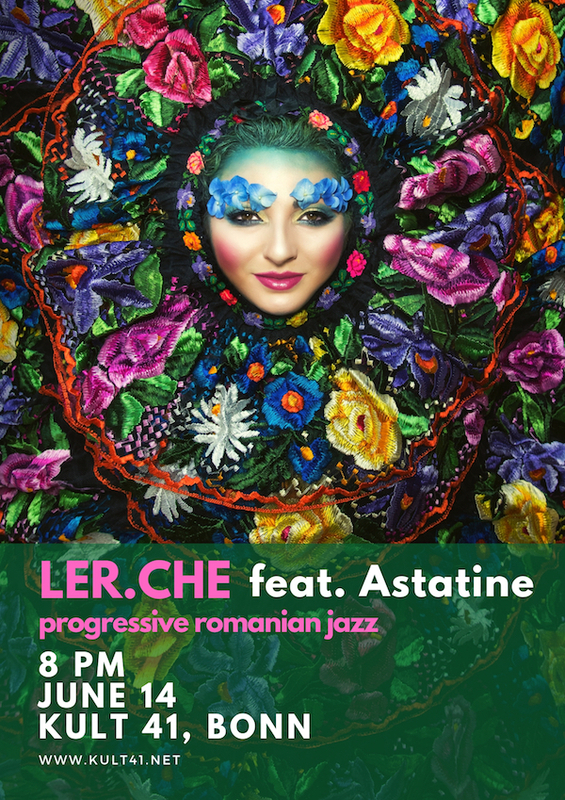 About the name of this exciting project, Astatine says: “LER.CHE is essentially a proud Romanian bird, enjoying the exhilaration of new horizons while determined to preserve her roots in her song.” And indeed, original compositions and carefully curated folk melodies are set to avant-garde instrumental jazz, taking the listener on a mystic journey that defies boundaries of genre and geography. © 2013 - 2019 ASTATINE. All rights reserved.